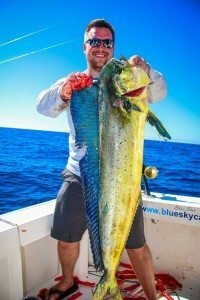 Great day aboard our 35′ Yacht Blue Star, 1 Beaut of a Dorado and 1 catch and release Marlin. 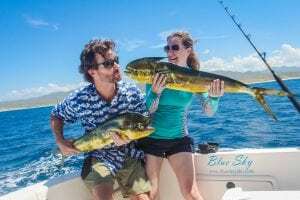 One-Stop Shop for Your Dream Fishing Trip with Cabo San Lucas Fishing! 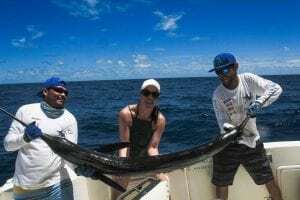 At Cabo San Lucas Fishing, we provide an entire suite of services to make your stay in Cabo San Lucas memorable and exciting. 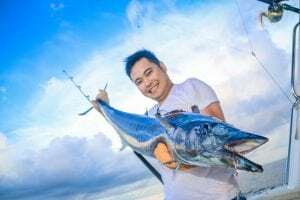 You will work directly with the company owner to tailor your trip to your needs. 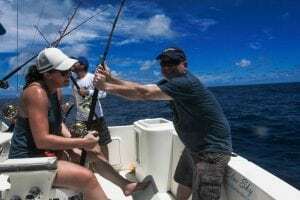 Our goal is to help you book your entire trip as easily as possible. 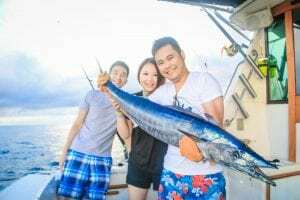 We offer condo rentals, half and full-day deep sea fishing excursions, romantic sunset cruises, snorkeling, boat rentals, and much more. 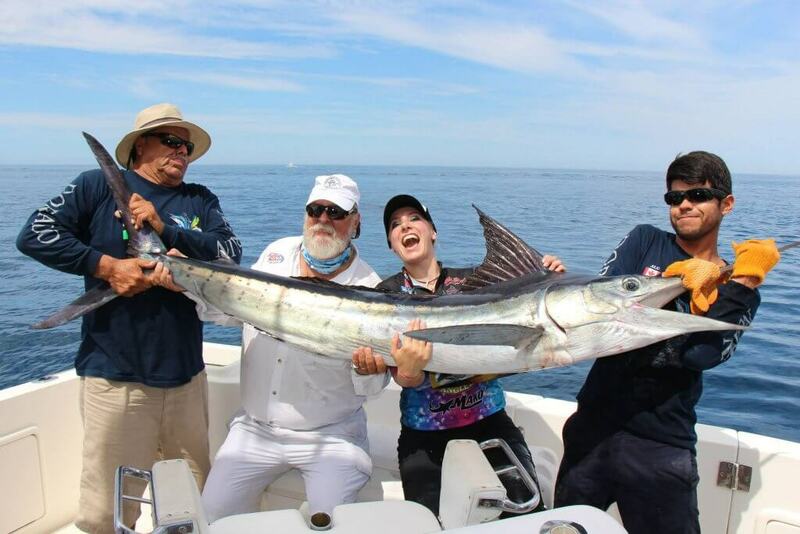 Let us show you the magic and beauty of Cabo San Lucas! Cabo San Lucas is one of the top beach destinations in North America, and for good reason. The peaceful blue waves of the Pacific Ocean and miles upon miles of endless sand perfect for relaxing and sunbathing are only the tip of the iceberg when it comes to Cabo’s riches. 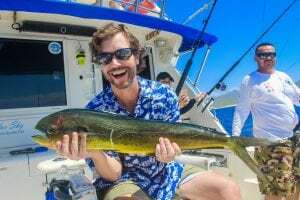 From whale-watching and deep sea fishing to enjoying the local nightlife, there’s truly something for everyone to enjoy in Cabo San Lucas. 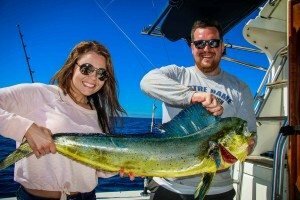 Our captains and crew are experienced, know the best spots for fishing, and take pride in the level of enjoyment and satisfaction our guests have aboard our boats. 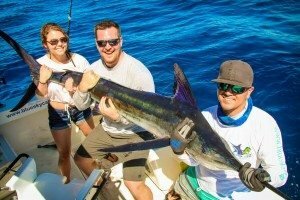 We want you to have the best time possible in Cabo San Lucas! Do you prefer a let-it-all-out party atmosphere instead? Our boats can accomodate a booze cruise too! Perfect for bachelor/bachelorette parties, birthdays, or whatever the occasion may be, book our party boats for an unforgettable experience! 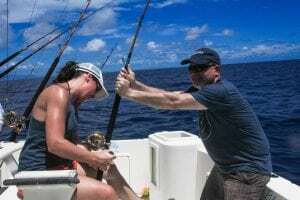 Our private charters are flexible – just call us to see what we can do. Looking for a more personalized, low-key or romantic experience? Book one of our private charter yachts for a full day or an evening. 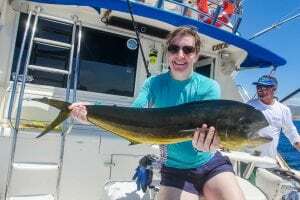 We are happy to work with you to include snorkeling in the sparking Pacific waters of Cabo, whale-watching, or a sunset cruise to the famous Arch in your excursion. Let us know what you’d like to see, and we will do our best to make it happen! 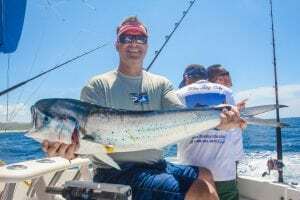 Captain Juan, brought this group to the right spot… landing a freezer full of nice size Dorado. Join us on our Beautiful 43′ Yacht” Blue Sky. Captain Juan know all the hot spots. What a Fantastic day for this lady!! 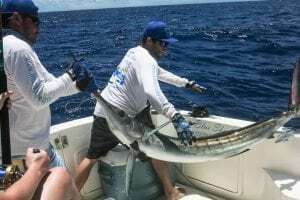 Landing her own Marlin, with help from Captain Julio and crew.